It covers every aspect of soccer, which all soccer parents must know. It's written in format of a comic book. I think it's a very interesting way of presenting fundamentals of not only soccer, but anything. It's easy to read, understand and it's fun. funny. The drawings will crack you up. 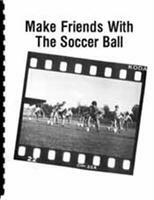 Actually I can't believe that FUNdamental Soccer gives this book away for free. clueless parents. Having said that, it is not only for parents without the clue. Actually I've found in this book a lot of very beneficial information, which I didn't know or I didn't think of as a soccer parent. And definitely I had not thought I was clueless. parents of your team's players. "The content of this book is divided into five practice Programs. The collections of exercises are the most common variations of dribbling, turns and fakes. We have attempted to give you a clear explanation of the technical parts. The book's organization is simple and follows a similar pattern in all five Programs. Our intent is to provide material that can be used by players of all skill levels and ages." Although, in my opinion, this book is not as substantial as "...Clueless Parents", it is a good addition to the Part III of "Organizing Your Youth Soccer Team" with more drills and exercises for developing good technique, speed, power, and control of the ball and...it's free.